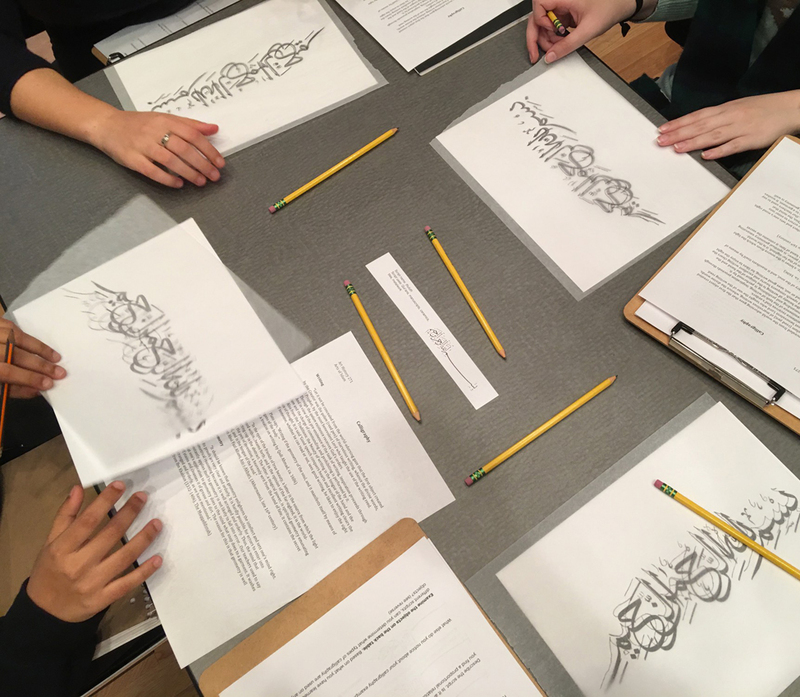 Professor Davis’s “Arts of Islam” class visited the Museum for three sessions on the themes of early Islamic coinage, calligraphy, and Persian painting. In the second session, students approached the important art form of calligraphy from two different angles: form and function, and style and technique. Through guided looking exercises students considered how text is integrated in painting and ceramics for both decorative and functional purposes. To examine style and technique, students were given the opportunity to explore calligraphy through hands-on making. By tracing lines of calligraphic texts themselves, students were able to better understand the precision and skill that goes into every calligraphic composition.